I try to act delighted that my bridal photo shoot is here at last. My mother hung up all the dresses, so they’re ready to go, but to be honest, I haven’t even tried one on. After the usual histrionics about the deteriorated state of my beauty they get right down to business…Since I only have to look hairless for a few hours instead of several weeks, I get to be shaved iinstead of waxed. I still have to soak in a tub of something, but it isn’t vile, and we’re on to my hair and make-up before I know it. The team, as usual, is full of news…. Downstairs, the living room has been cleared and lit for the photo shoot. Effie’s having a fine time ordering everybody around, keeping us all on schedule. 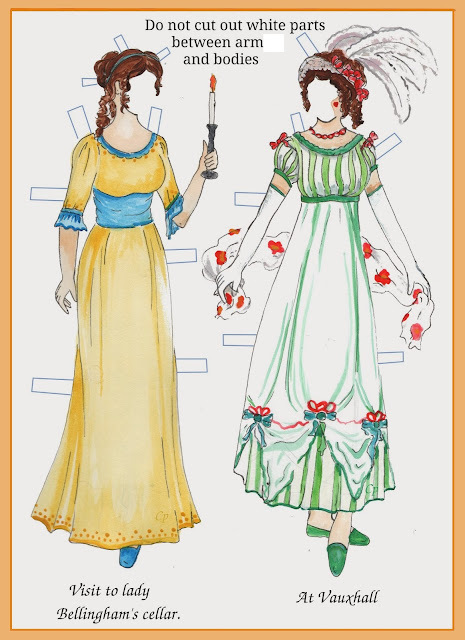 It’s probably a good thing, because there are six gowns and each one requires its own headpiece, shoes, jewellery, hair, make-up, setting and lighting. Creamy lace and pink roses and ringlets. Ivory satin and gold tattoos and greenery. A sheath of diamonds and jewelled veil and moonlight. Heavy white silk and sleeves that fall from my wrist to the floor, and pearls. observations: Follows on from this entry. This is the second book in the trilogy: the engagement between Katniss and Peeta is political – they think it will keep them safe, the Capitol thinks a wedding will keep the populace happy. Suzanne Collins is really having it both ways - Katniss is outdoorsy, not at all girly, and not at all sure she should be getting married, so determined not to enjoy this photo shoot. But there is still room for this lavish description of the beautiful gowns, and no doubt this scene will feature in the second film in the trilogy. Equally, Katniss does not enjoy any of her makeovers in the books (although she does like Cinna, her stylist, and is friendly with her prep team) but they are all described in full. Perhaps there is an assumption that not all her readers are quite as anti-fashion and beauty as she is. It is not a spoiler to say that there is not going to be any fancy wedding with a lovely gown any time soon. Links up with: previous entry, here. And weddings and wedding dresses feature frequently in the blog: for example here and here and here, or click on the label ‘wedding’ below. The photo above again features dresses from the Italian designer de Cesari, the picture, like this blog entry and this one, came from Perry Photography: you can see more of her work at Flickr.